October’s a blink of the eye. […] The days are unexpectedly mild. It does not feel that far from summer, not really, if it weren’t for the underbite of the day, the lacy creep of the dark and the damp at its edges, the plants calm in the folding themselves away, the beads of the condensation on the webstrings hung between things. 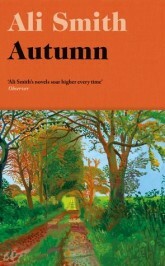 On the shortlist for this year’s Man Booker Prize, to be awarded on the 17th of October, Ali Smith’s novel Autumn is the first book of the author’s seasonal series, a standalone prose, that tells the story of the peculiar relationship between a century-old man, Daniel Gluck, and Elisabeth Demand, a thirty-two-year-old lecturer at the university. As the narrator starts off the journey of the characters as a trip down memory lane, she simultaneously manages to touch upon a wide variety of themes and styles. From the 60’s zeitgeist pop culture, to the nowadays reality, this novel is a collage of friendship intermingled with shreds and fragments of socio-political considerations. Moreover, it is also an experimental work, a dazzling dance of words and thoughts, sometimes pertaining to an unknown narrator (maybe the unconscious or God? ), that can come off as both poetic and/or annoying. The unconventional writing and structure of the book can be at times overwhelming even for an experienced reader, but, in the end, it holds up due to its artsy packaging. Probably one of the most famous opening lines in literature, Dickens’ “It was the best of times, it was the worst of times” is just the perfect setting to lay down the characteristics of our modern society and the disparities of our troubled existence. The ambiguous and bizarre beginning will set the tone for the entire action. Daniel Gluck, who has been in a coma for a few months now, is experiencing some sort of reveries about being dead and meditates upon the beauty and easiness of this condition. Meanwhile, Elisabeth is having more down-to-earth activities. Trapped at the postal office, in an attempt to renew her passport, she is confronted with the nerve-wracking bureaucracy of the entire process. From the measuring of her head, which proves to be the wrong size, to her attempts at witty conversations, the whole scene is a perfect display of the political mockeries we are faced with every day. There are, of course, direct references to the panic of the Brexit, but, there are also a lot of innuendos towards the situation of the immigrants. All across the country there was misery and rejoicing. All across the country, what had happened whipped about by itself as if a live electric wire had snapped off a pylon in a storm and was whipping about in the air above the trees, the roofs, the traffic. In between the intermingled present stories of the two protagonists, the narrator inserts short snapshots of Elisabeth’s childhood and her encounter with Daniel, who was her neighbour. Daniel takes her under his wing, stirring up her imagination and curiosity for books and paintings, this resulting in Elisabeth’s passion and studies of the history of art. Her thesis on Pauline Boty, the founder of the British Pop art movement, a rather obscure artist, who was rediscovered in the 1990s, is an interesting insertion into the novel. On the one hand, the reader makes an incursion into the 1960’s and explores the question of female gender, but, on the other hand, it brings her back into the public eye. The story of Christine Keeler (whose photograph Boty portrays in her iconic work Scandal 63) overlaps with the one of Daniel’s brilliant younger sister, whose disappearance is haunting him to this day, making this part a rather strenuous read. I’m fire, I’m flood. I’m pestilence. I’m the ink, the paper, the grass, the tree, the leaves, the leaf, the greenness in the leaf. I’m the vein in the leaf. I’m the voice that tells o story. 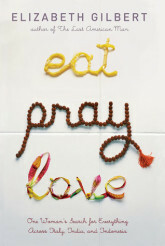 All in all, Ali Smith’s novel is an intricate puzzle on various themes. Although it is heavily advertised as a Brexit book, it really just rapidly touches on this subject. Mostly, it is a study on time and memory, art and its permanence. 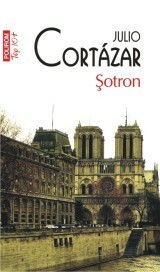 Not the most compelling text due to the intertwined voices and plots verging on surrealism, but a well written one. 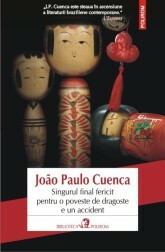 Puteţi cumpăra cartea la un preţ bun de pe okian.ro sau books-express.ro.